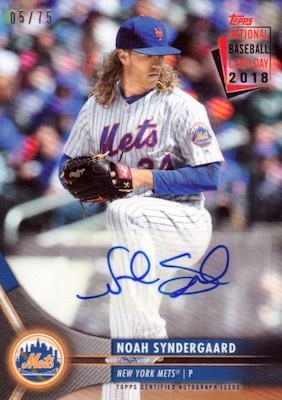 Year three of the NBCD reboot, 2018 Topps National Baseball Card Day supplies more free cards to collectors via the Hobby store and MLB stadium promotion. Be sure to mark your calendars as the primary event takes place at Hobby stores on August 11, 2018. 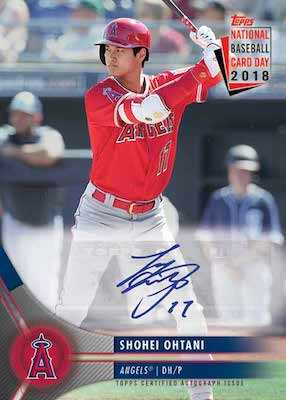 Confirmed at the 2018 Topps Industry Conference, the 2018 Topps National Baseball Card Day set also includes an in-stadium aspect in addition to the in-store packs. Like the 2017 set, this means giveaways at the ballparks. Topps expects to distribute over one million packs in stadiums alone. There will also be considerable coverage for NBCD, which could result in increased interest and turnout. 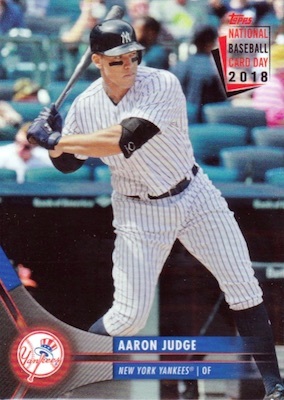 While collectors can count on an exclusive Aaron Judge card issued by Hobby stores that is not found in packs, a new option for 2018 Topps National Baseball Card Day is a second exclusive card that is provided two weeks later on August 25. 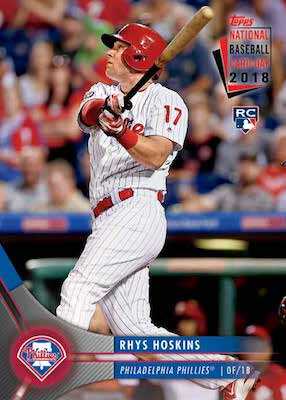 This second card is for rookie star Rhys Hoskins. Collectors much purchase $10+ in Topps products to receive each incentive chase card. While rare, there are also limited NBCD autographs. Available as supplies last, each collector receives one five-card pack. Full details about the NBCD promotion can be seen at the official National Baseball Card Day website. 30 cards. Buy on eBay. 2 cards. Not found in normal packs. Earned by $10 purchase of Topps products. 26 cards. Print runs listed when known. Buy on eBay. 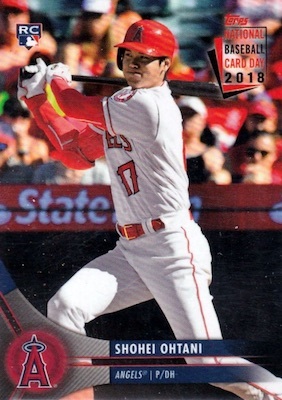 There is also an in-stadium segment of 2018 Topps National Baseball Card Day featuring team-specific packs and a different selection from the main NBCD set. These are not the same cards found at hobby shops. Dates for each team giveaway are listed below. See full details about previous Topps National Baseball Card Day sets with our profiles below. Good looking cards. No goofy “tongue”! Disappointed to find out the autographs in this series are stickers. Is that the trend? Seems a bit deceptive. Thoughts?